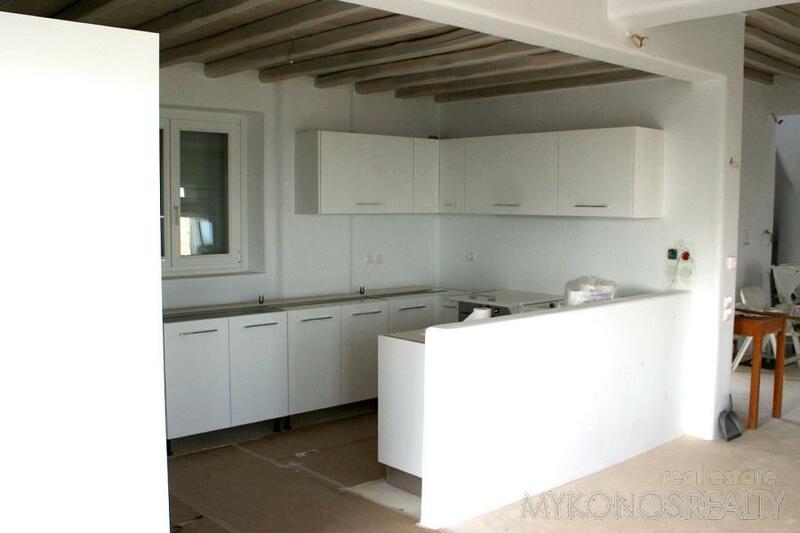 Kounoupas, villa 420sq.m on plot of land 4.000sq.m, construction 2011. 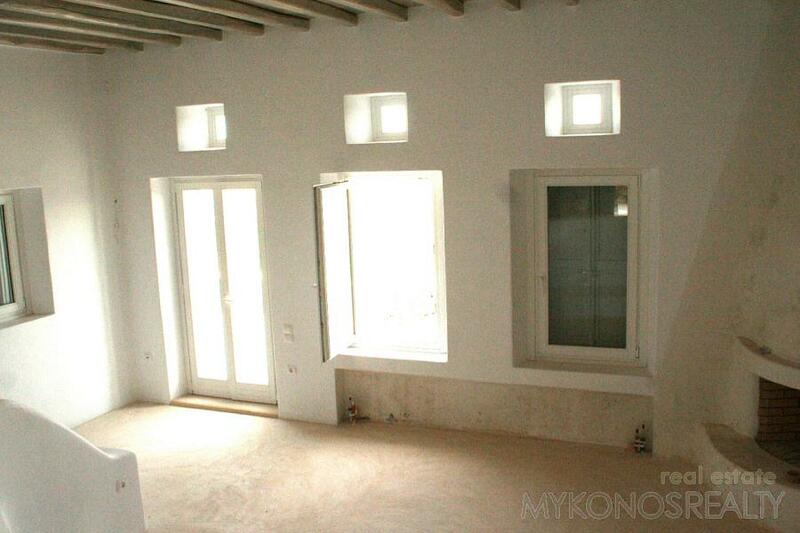 The construction has fully finished apart from some details according to buyer's preferances. 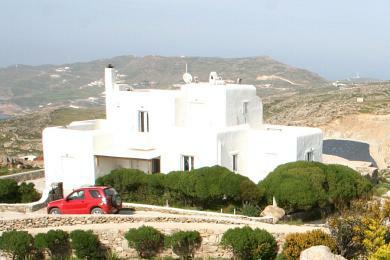 The villa has been built in three levels. 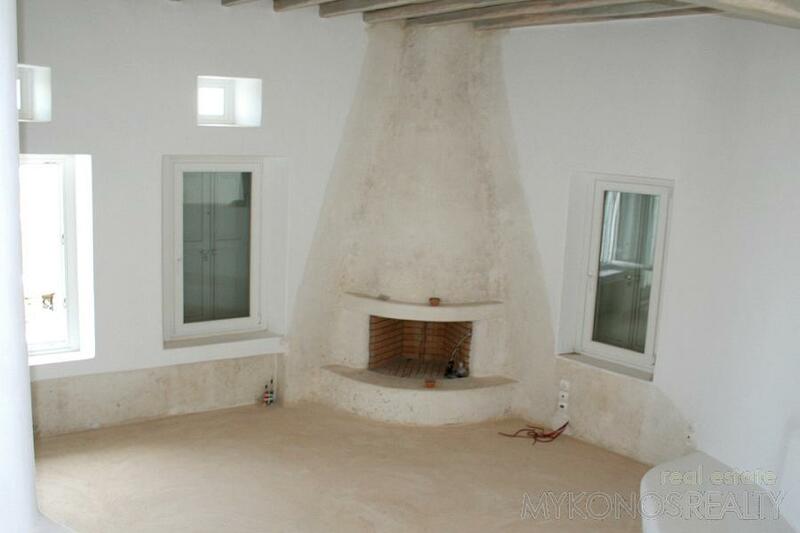 The two upper levels form the main building consisting of 3 bedrooms, each with its bathroom, a big open -space sitting area with fireplace, WC, dining room, and a kitchen fully equipped. 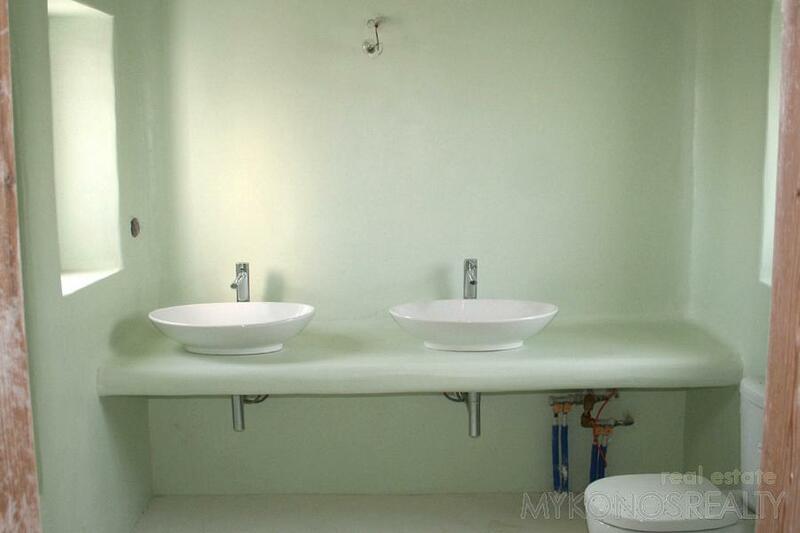 The lower level has 2 bedrooms, 1 bathroom, a sitting area, WC and a kitchen fully equipped as well a big guest room, storage rooms and central heating. 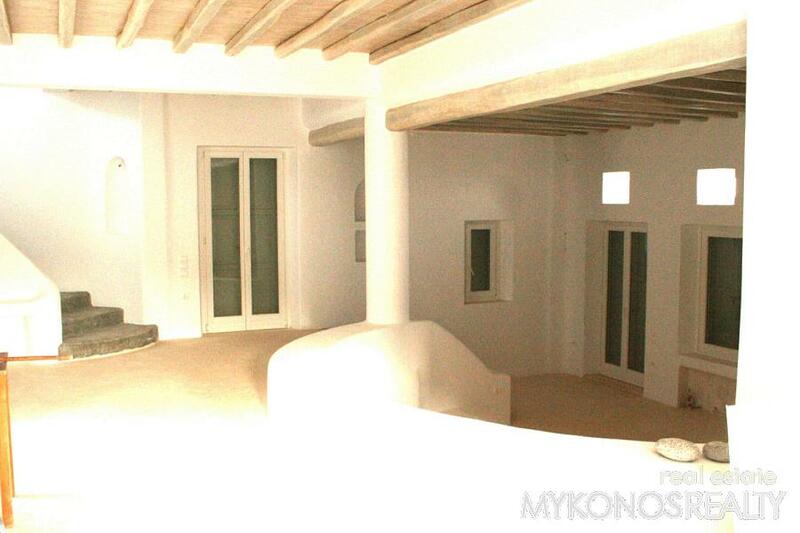 The lower level as well as the guest room have their own outdoor entrances and are moreover connected with the main building by an interior staircase. 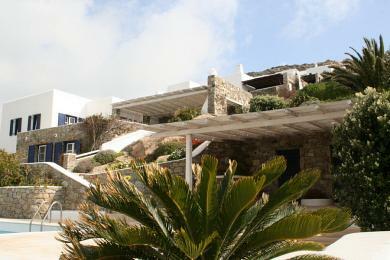 Consequently, it is up to the buyer to choose if and how the villa has to be separated. 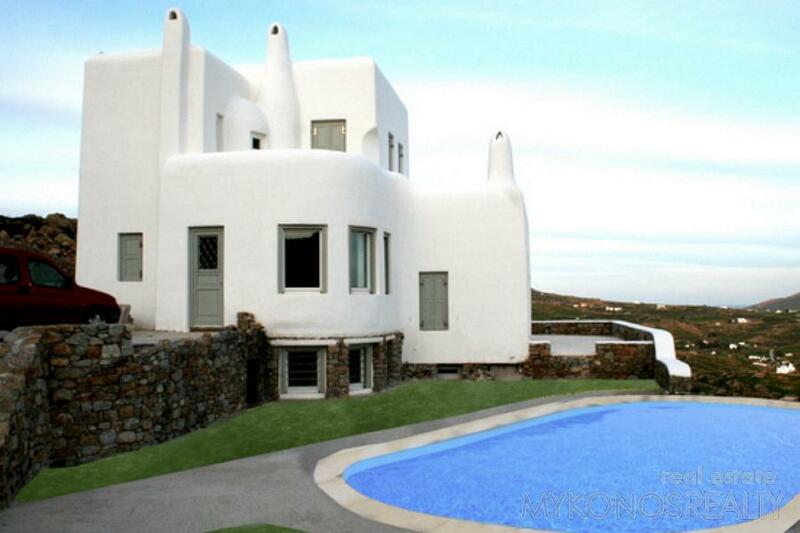 Big verandahs, swimming pool, garden, well with enough water for almost the whole year. 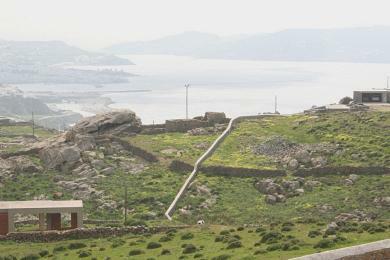 Parking space. 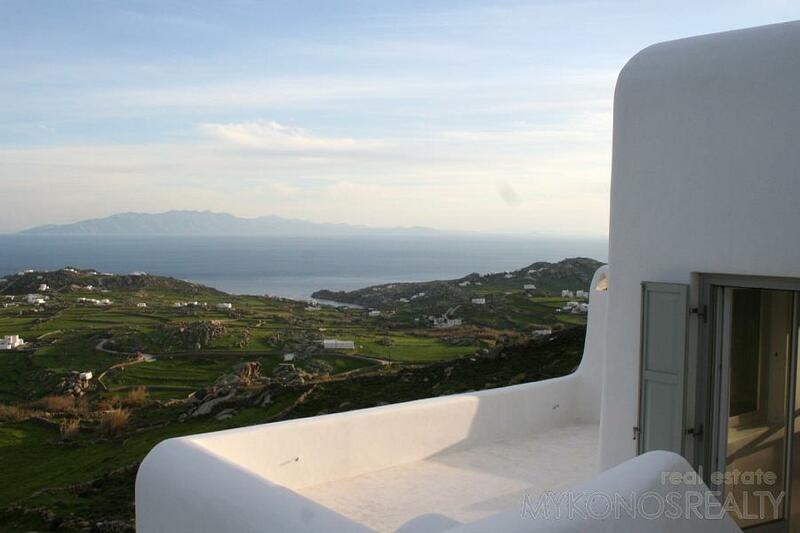 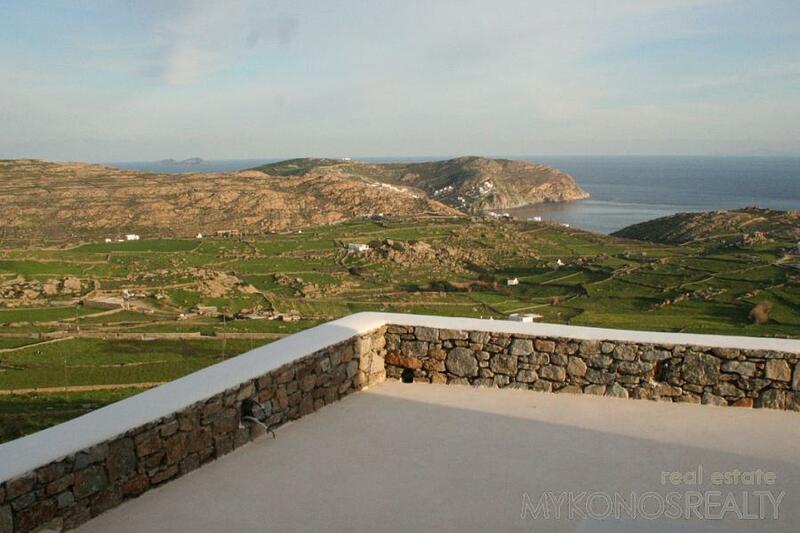 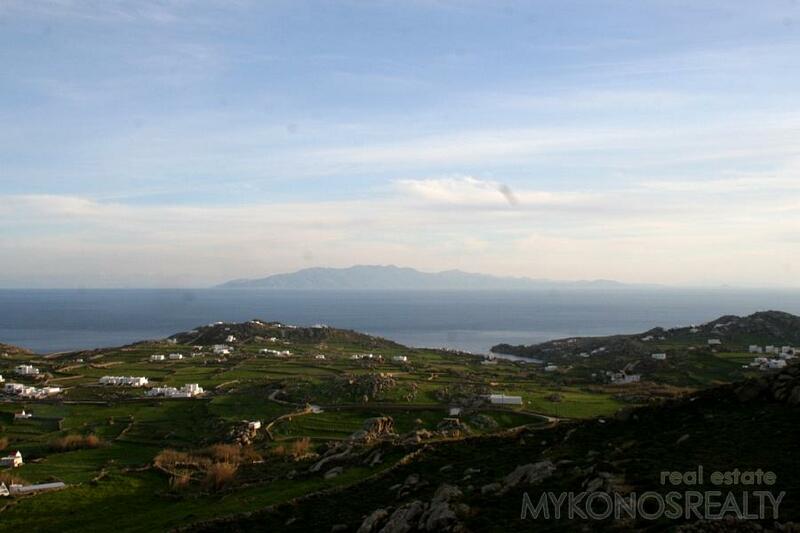 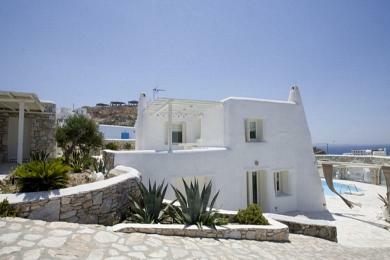 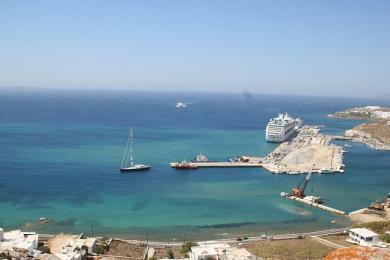 Panoramic and unconstricted view to the Aegean Sea, the islands and the Southern beaches of Mykonos.